Brief: Liaise with harrods for Adidas marketing team and arrange the lighting once the display was complete. Designers comment: Harrods has many specialist LED‘s and projectors so I had lots of choice and really enjoyed the final results boosting the effect of the yellow interior with yellow LED and gels. 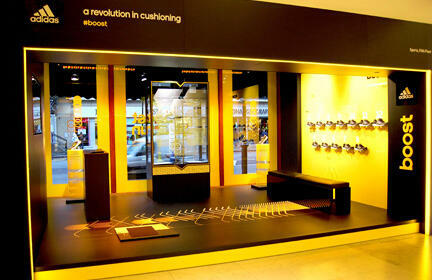 Product: Philips Colour blaze, Spotlight – Pro projectors and Aureol beam Shapers.